This is a difficult mission for Ben 10. Help Ben 10 show his skate skill and get collect 3000 points before the 60sec timer runs out to win. Use the keyboard to move Ben 10. If you want to play Ben 10 Dead Water games online you have come to the right place! GamesLoon adds new Ben 10 Dead Water games every week. This is your game portal where you can find the biggest collection of free Ben 10 Dead Water games online. 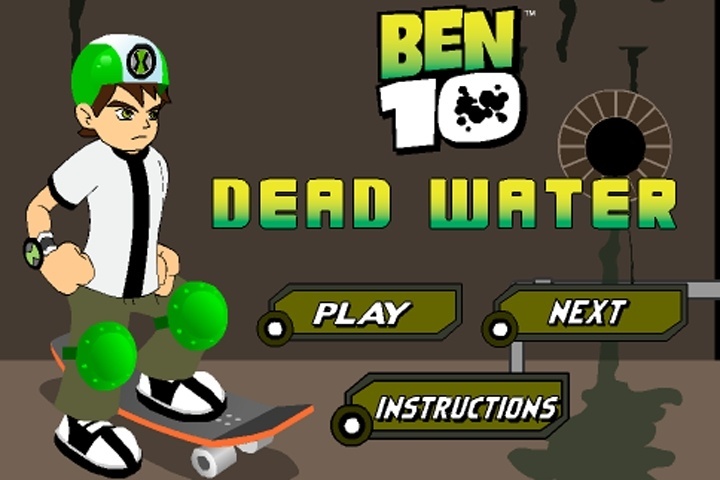 Do not forget to rate our Ben 10 Dead Water free online games while playing!